This vegan hazelnut cake is topped with a fluffy and rich whipped chocolate ganache. 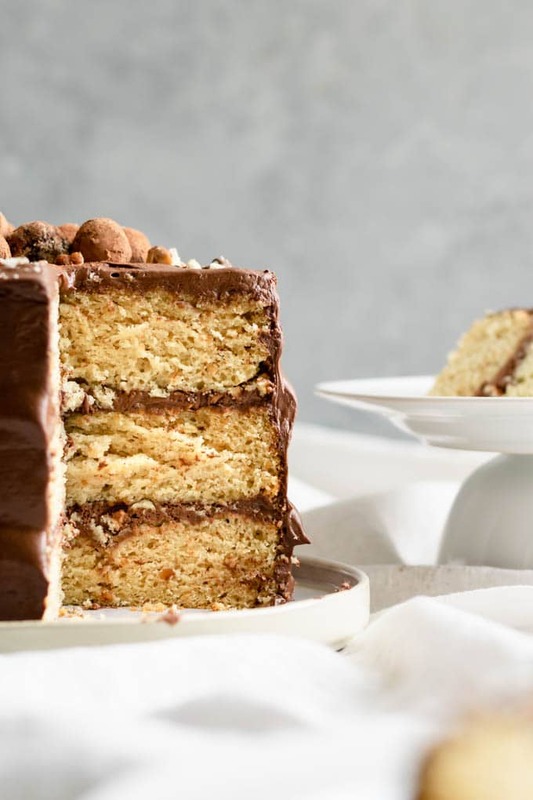 It’s an incredibly delicious cake, with a moist and tender nutty tasting crumb complementing the creamy hazelnut-scented ganache perfectly. I think I made the perfect wintertime cake. It’s soft and perfectly tender cake, with nutty undercurrents and buttery sweet hazelnut flavor. I could devour the whole cake bare, but top it with a luscious chocolate cream? I’ve never had better!